Best Natural Remedy for Glaucoma Yet Discovered! I was told glaucoma is hereditary and you must be a certain age in order for them to provide a treatment. I'm just wondering if there is a natural/home remedy for this? Hi Diana, and thank you for your question regarding a natural (or home remedy) for glaucoma. Firstly, the "hereditary" theory is debatable and still yet to be proven. But putting that aside, yes there is (are) natural remedies and treatments for glaucoma that work, and work extremely well. Home Remedy for Glaucoma #1... Lower Your Blood Pressure and Insulin Levels: According to Dr Axe, one of the precursors to glaucoma can be high blood pressure. So if your blood pressure is high, you need to get it down. Have a read of our natural remedies for high blood pressure article here for some excellent tips on how to lower your blood pressure naturally, rather than having to rely on harmful pharmaceuticals... A Natural Remedy for High Blood Pressure That Works Fast! Lowering your insulin levels will also reduce your blood pressure, and in turn, reduce the pressure on your eyes. Take a heaped teaspoon of cinnamon (one of the best insulin lowering foods there is) 3 times daily before each main meal. Natural Remedy for Glaucoma #2... Healthy Diet: This is so important. Eating fruits and vegetables high in antioxidants and carotenoids is crucial for the health of the eyes and preventing and treating glaucoma. Orange and yellow veggies, along with blueberries, raspberries, goji berries and cherries are the best. Avoiding alcohol, caffeine, processed foods and sugar is also crucial as these all exacerbate glaucoma and other eye disorders. Fish oil - Promotes healthy retinal function (6,000 mg's a day). Vitamin D3 - Crucial for eye health (3,000 IU per day). Co-Q10 - Helps prevent free radical damage to the eyes (300-500 mg's a day). Vitamin C and Bioflavonoids - Crucial for healthy eyes and vision (2,000 mg's a day). Bilberry - This anthocyanoside extract contains flavonoids that help support eye function and improve blood flow (320 mg's daily). Magnesium - Improves blood flow and relaxes blood vessel walls (be sure to take a highly absorbable magnesium supplement such as this one). Natural Cure for Glaucoma #4... Exercise: Exercise lowers insulin levels and blood pressure levels. Aerobics, weight training and rest-pause type training are the best. Exercise works very well for reducing the effects of eye disorders. Even Dr Joseph Mercola strongly recommends this remedy. Home Remedy for Glaucoma #5... Frankincense Essential Oil: I've saved the best one for last. Many glaucoma sufferers have received astonishing results from the use of frankincense oil. In fact, it's been repeatedly demonstrated to substantially improve eyesight. Apply 2-3 drops of the oil twice daily on cheeks and lateral eye area morning and evening. Or, place 2-3 drops of frankincense oil in your palm dropped directly from the bottle. Rub palms together, then cup your palms over your OPEN eyes for three minutes (or more). Never put frankincense oil directly into your eyes though as it can burn. In addition, only ever use a high quality therapeutic grade frankincense oil such as this one... Radha Frankincense Oil. So I hope these tips help you out Diana. Comments for Best Natural Remedy for Glaucoma Yet Discovered! 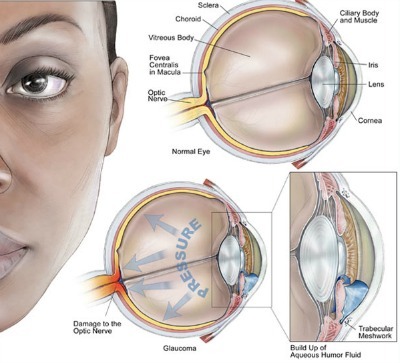 This has to be the best article I have ever read on cures for glaucoma. The only thing missing is large doses of vitamin C (see Dr Cathcart... www.doctoryourself.com). You are the only person that I have come across that mentions cayenne pepper. Everyone I talk to, both medical or naturopathic says to use it cautiously - I don't agree with them. And from what I have read - its actually an excellent idea! Also the frankincense essential oil - I have heard this mentioned before too. I shall try everything listed here!! Great stuff. Hi Heather. Thanks for the positive comments. We do list vitamin C and bioflavonoids for treating glaucoma, but yes, our recommendation of 2000 mg's per day is way lower that Dr Cathcart's recommendations of 50 grams (or more) of vitamin C (ascorbic acid) each day. Dr Linus Pauling took 10 000 mg's of vitamin C each day and lived to be 93, so this should probably be the minimum daily requirement. I am a 50 year old woman. I was a "glaucoma scare" patient for 15-20 years. My pressure was always high, 23-24, throughout the years. I was finally diagnosed with glaucoma in my left eye in 2016, and of course given prescription medication. I did inform my Ophthalmologist I would do a trial and error with Frankincense oil. I heard good things about this oil. Long story short... I started using Young Living therapeutic grade Frankincense essential oil in place of the prescribed eye drops. I started out by using 3 drops of the oil on the heel of my hands and then placing it onto my eyelids for 5 minutes every day. I did this for 3 months on and off. I went for my 4 month ophthalmologist visit after and my eye pressure had come down slightly. I did more research on the benefits of the oil and decided to use the oil 3-4 times a day. I mixed it with grape seed oil in a small 30 ml glass bottle (travel size). I also used it on my face and throat. I focused mainly on my eyelids though. I used it consistently for 4 months, until my next Dr's visit. To my pleasant surprise, the Dr's readings were 16-19. I had to make sure he was actually talking about my eye pressure. I was so excited! However, when I told him what I had been doing his response was" Just use your eye drops". Thank you for sharing your experience Maniah. Your success with Frankincense and glaucoma is very encouraging. My question is how do you manage to keep it from getting on your lashes and inside your eyes? I dilute frankincense with coconut oil and apply it under my eyes several times daily. Pressure was 13 and 14 on my last visit to my Doctor. I started by putting drops of the oil in the palms of my hands and cupping my hands over my eyes for 4 or 5 minutes. Using this method, pressure went down to 10 and 11. I take many eye care vitamins also. I've been able to keep the pressure down for 2 years now using frankincense.